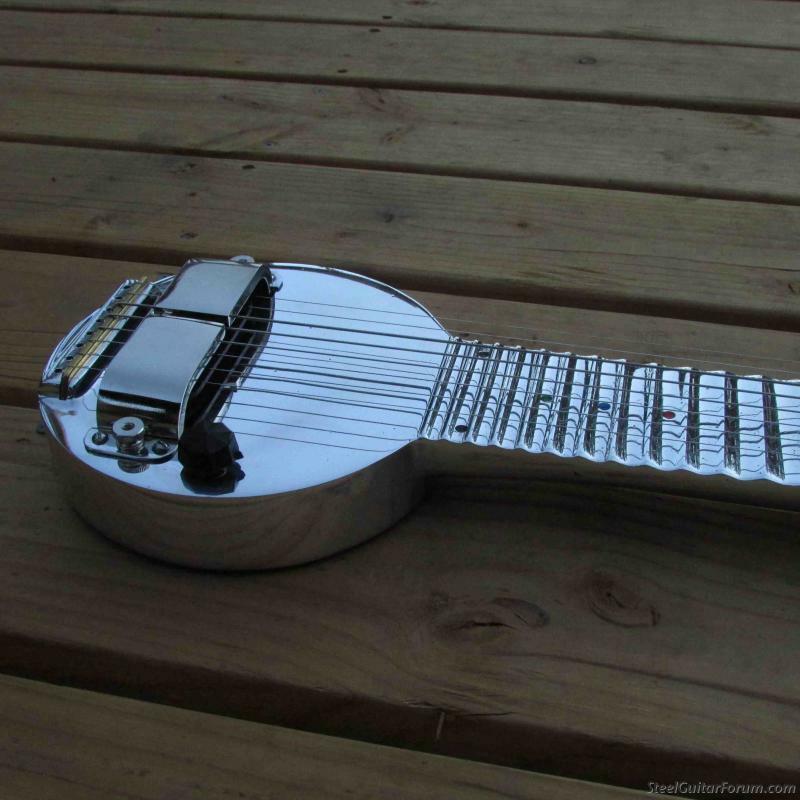 I have had requests to build a similar model for years , which lead to my Cast Aluminum Clinesmith guitar, which has it's own unique voice. I wanted this to sound like an old pan and it does. It features a long scale of 24.625 inches. String spacing of 2.375 at the nut and 2.75 inches at the bridge. I will be starting a 6 string long scale pattern very soon. Todd, that looks killer! Great work as usual. So Cooool, Todd. And so true to the original. Is the neck hollow? Seems like I've read somewhere that some Ric A25's had solid necks. Those shoes look really heavy! Looking forward to a sweet Hawaiian audio clip. Just stunning, Todd! I'll be hanging out to hear some capable hands put one of these through its paces. 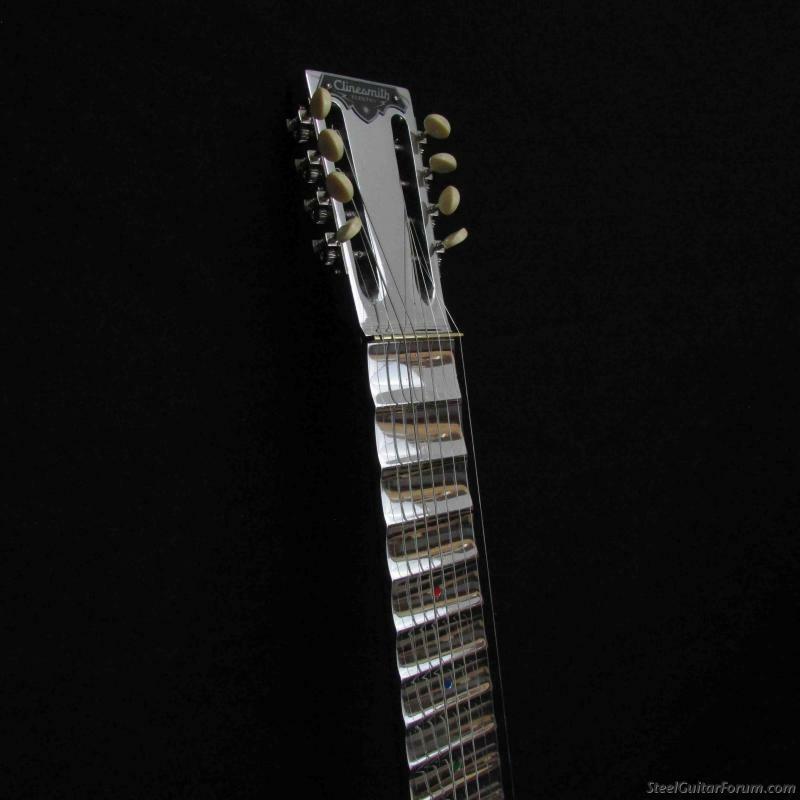 A gorgeous reflection of steel guitar's hallowed history married to the best of modern craftsmanship, drizzled with a heaping helping of tase and design skill. Congrats, Todd. Congratulations Todd, it looks beautiful. Magnificent! Long scale Frypans are the best sounding of all IMO. The alpha and omega. Posted 30 Jul 2018 2:44 pm Absolutely fabulous! Even knowing this was coming couldn't prepare me for what I'm seeing. Absolutely amazing!!!! Now I just need to decide, 8 string or 6? This is going to kill the resale market for the vintage ones I predict. Ditto all these fine folks' remarks. Am sure those who take ownership will prize all the care and detail put into this effort, Todd. Take a bow! Looks like Jim Newberry just got one! Hope my thumb's healed up by the time it arrives (bone spur surgery on my picking thumb this morning)! Should be. I told Todd that it may fall in to more talented hands, but not more appreciative ones. Todd, you’re a master and I feel very fortunate to be able to experience ownership of some of your fine creations! Superb !! Only thing I see, is that it's better that what a new Rick was Great to see a venerable design brought back to the forefront Todd !! Wow. I will be giving you a call soon to discuss the possibility of purchasing one of these. Just beautiful. To those who may be on the fence....Todd does stellar work. I have a Clinesmith Cast Aluminum and love it. You won't be sorry with a Frypan. Thanks all for the comments. I am trying to keep the price on these affordable, while not sacrificing any details or tone . The pickup is remarkable. The neck is solid. I read in the Rickenbacker book that the early runs were solid necks. Adolph, I guess thought they sounded the best because of the sustain. I think they went to hollow to save on materials. The guitar weighs about 7.5 lbs. There are some imperfections here and there in the castings , but that is the nature of a cast piece. The foundry I work with is one of the best! I am working on a "ipad" recording, so the quality will be ..what it is, an ipad recording. Here's a few more photos of details. Todd, do you see a 22.5" scale 7-string in your crystal ball? Some guys have just TOO much talent! 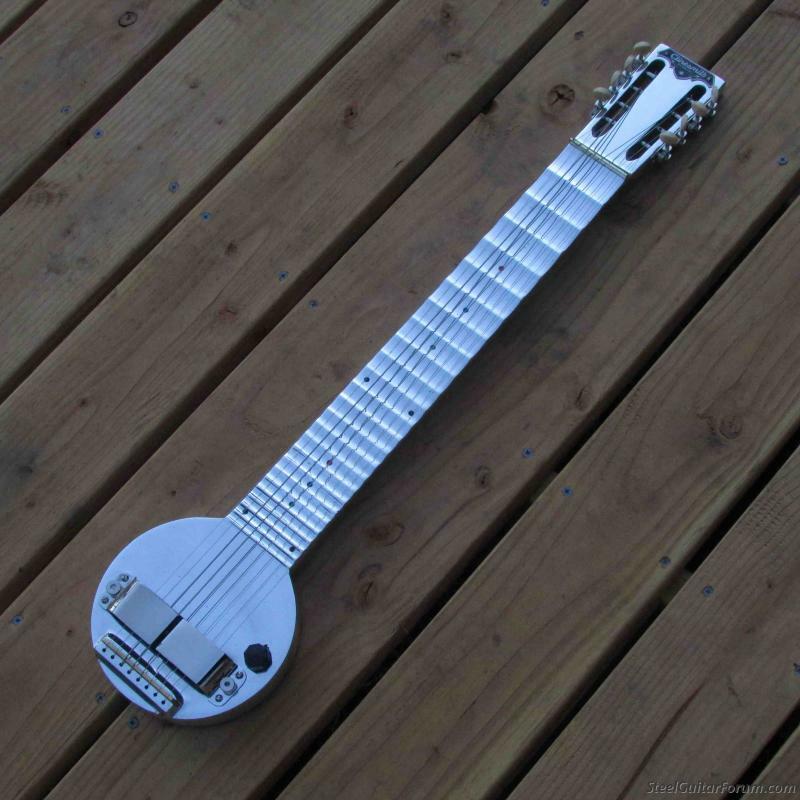 Jack, If I had enough interest I would make an 8 string sized 22.5 " scale guitar, that could also be made as a 7. 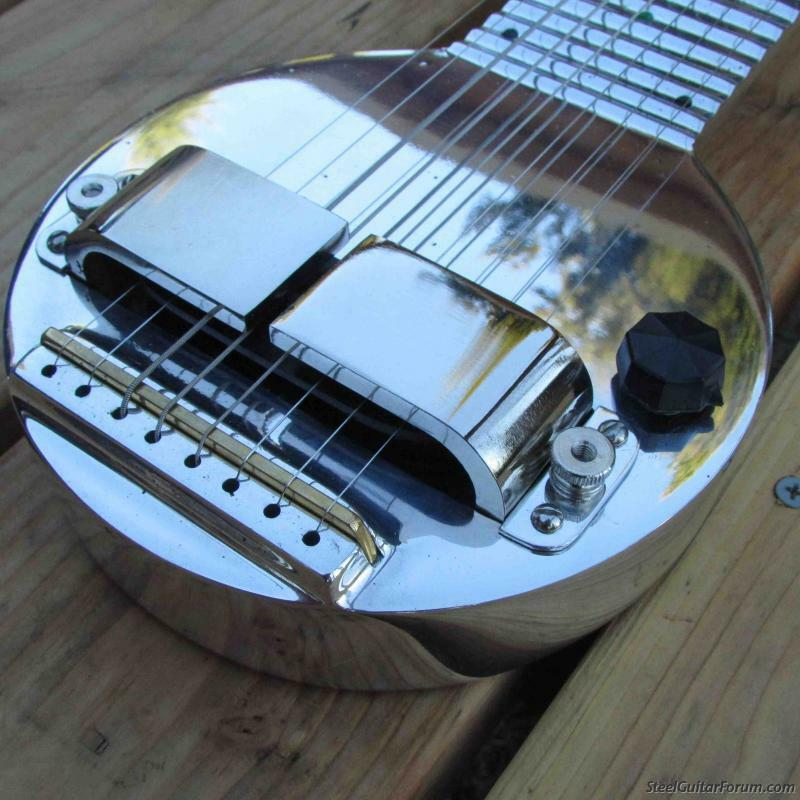 I have had interest from one other in a 22.5 scale guitar. 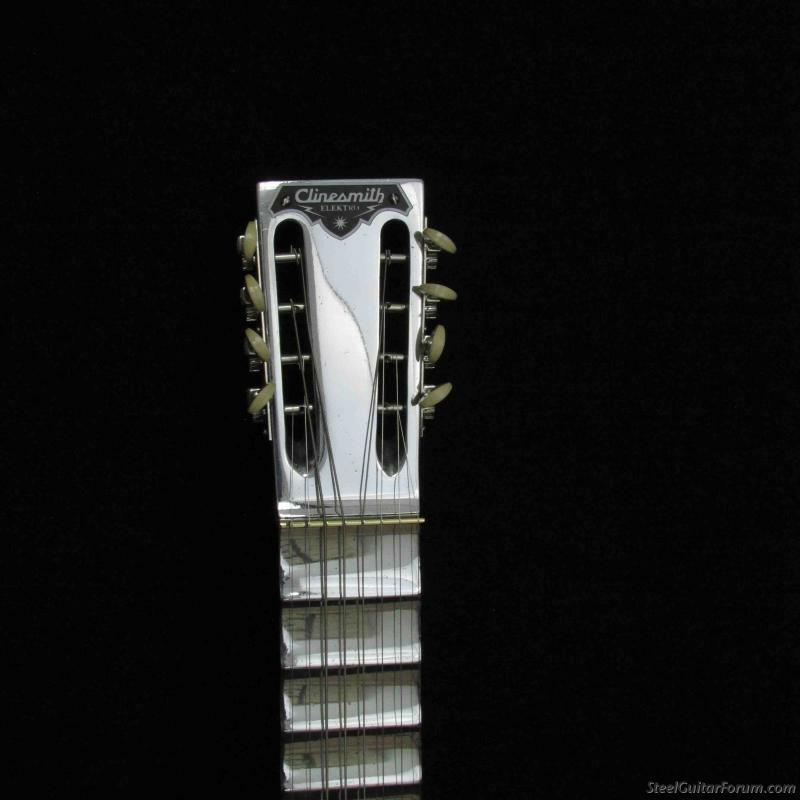 I would not make a 6 string sized short scale since there are many of these out there. 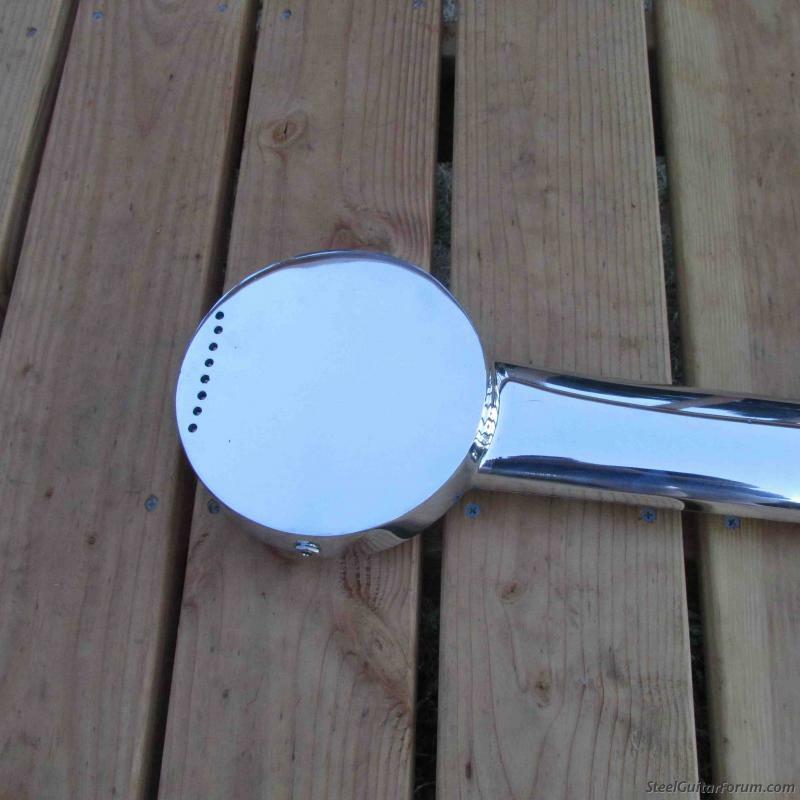 I know they are still hard to get, but it is the most common of the frypans . Make sure those decking screws are countersunk deep enough! Very nice frypan.